The staff were very friendly, the room matched the photos identically and the overall cleanliness was exceptional. We like To have confort.Each person vas vis room and it was near of everything.A Very good place To Stay in Liverpool. Very spacious, clean and comfortable. Although in the centre of town, very quiet. Added bonus of a washing machine. Staff were good. Laura went out of her way to help us with questions and even called local Pub to see if they were doing food and showing the football. Location is very convenient. Staff is friendly and really welcoming. Rooms are so spacious. Feels like home. Friendly and approachable staff. The apartment we had booked was not available, however we were informed of this in good time, given alternative apartments, plus free parking and wine to compensate us! Much appreciated! Big well equipped apartment. Perfect for 2 couples. Good location. Spacious and comfortable apartment with well equipped kitchen! 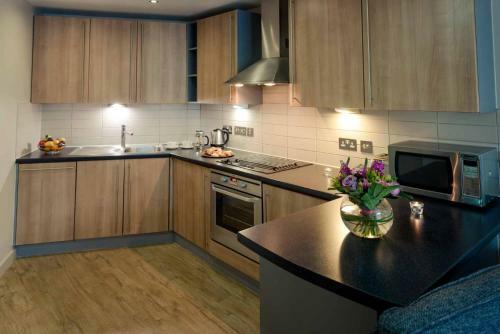 Within a 15 minutes walk of the embankment, 10 minutes from the railway station and the mall. 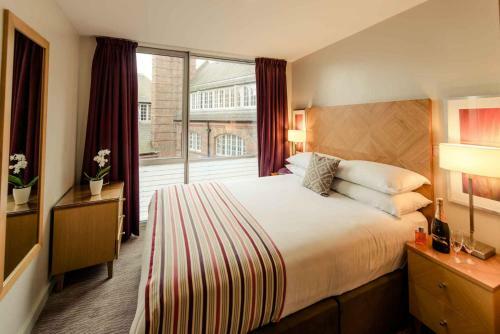 Lock in a great price for PREMIER SUITES Liverpool – rated 8.9 by recent guests! 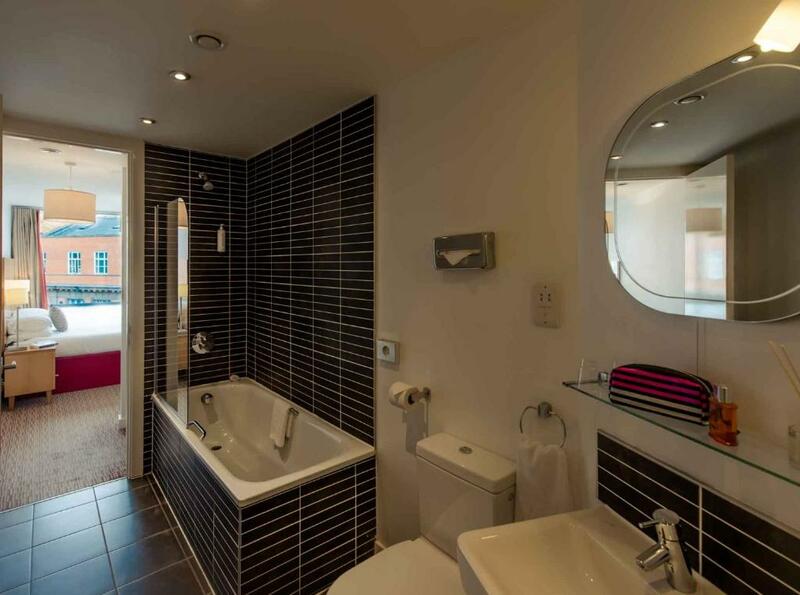 PREMIER SUITES Liverpool This rating is a reflection of how the property compares to the industry standard when it comes to price, facilities and services available. It's based on a self-evaluation by the property. Use this rating to help choose your stay! With stylish decor, these apartments have on-site parking and city views. 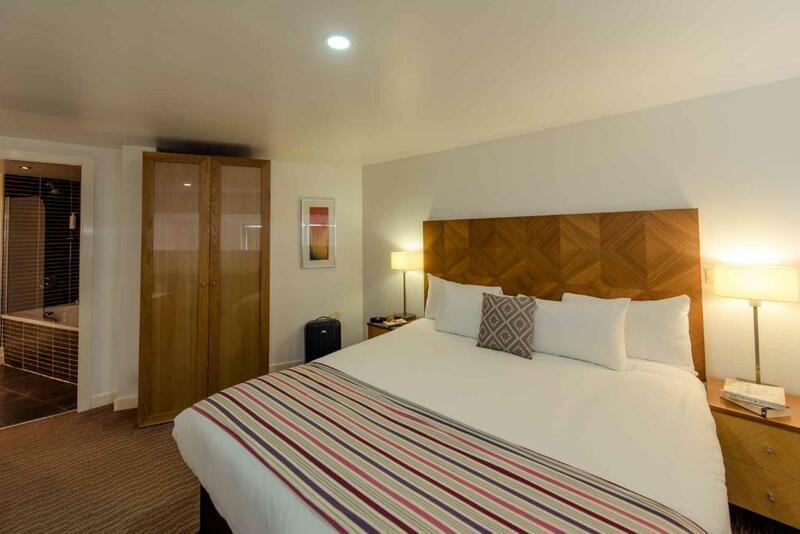 The PREMIER SUITES Liverpool Eden Square are just a 10-minute walk from Liverpool ONE Shopping Center. 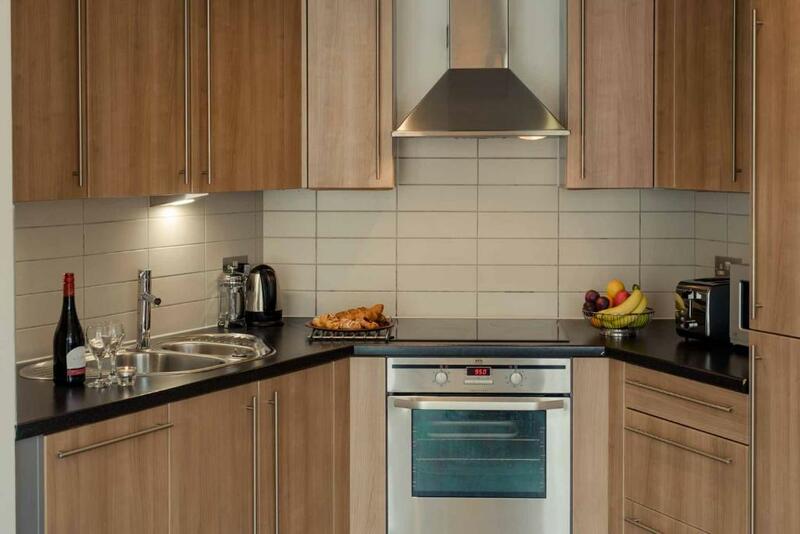 A one-bedroom apartment with a double bedroom, a private bathroom, an open-plan living/dining area with flat screen TV, and a custom kitchen with dishes, glassware and utensils. The Penthouse Apartment is a 7th floor duplex apartment, with an open-plan design with a balcony, lounge with feature floor to ceiling windows, a double bedroom with private bathroom, a living/dining area with TV and direct dial telephone with data port/internet access. This apartment is a 7th floor duplex apartment with an open-plan design with balcony, lounge with feature floor to ceiling windows, two double bedrooms, two private bathrooms, living/dining area with TV, and direct dial telephone with data port/internet access. House Rules PREMIER SUITES Liverpool takes special requests – add in the next step! A security deposit of GBP 250 is required upon arrival for incidentals. This deposit is fully refundable upon check-out and subject to a damage inspection of the accommodations.Please note if the booking is for the same day arrival the security deposit can only be paid by card along with photo ID in the same name as the cardholder. Please inform PREMIER SUITES Liverpool of your expected arrival time in advance. You can use the Special Requests box when booking, or contact the property directly using the contact details in your confirmation. Please note that the full amount of the reservation is due before arrival. Premier Apartments will send a confirmation with detailed payment information. After full payment is taken, the property's details, including the address and where to pick up the keys, will be sent to you by email. dirty bathroom, mould round bath, got moved wasn't much cleaner. boiling st night in bedrooms and air conditioning dosent work. Shower leaked all over the floor each time we used it. 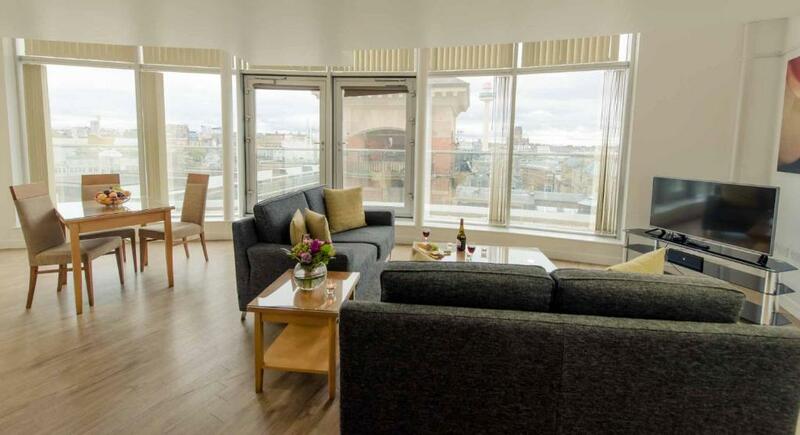 Very comfortable penthouse apartment with fabulous views over the city. Car park - although easy to work it out, it could benefit from some exit signage. The discs around the door handles were constantly loose. Net curtains or blinds would be a benefit as the apartment are very close to other lived in properties. It was a very comfortable and spacious apartment. Everything you would need was there. It really was a home from home. Very convenient location with very nice friendly staff. The dual bed combined of two single bed. It was slipy because of the bed wheels. The flat was very large and suitable for large families with two bedroom and bathroom. Wonderful apartment excellent value for money and we would definitely stay again. Towels toiletries tea coffee etc more than we expected. Shower needed some maintenance and descaling, an addition of a sports channel would be great. Room safe didn’t work. The apartment itself was amazing, comfortable spacious, spotless.. check in and out was brilliant.. straight forward and quick.. I booked a two Bedroom apartment for myself and teenage son, and we loved it. The apartments were clean and comfortable and the staff really helpful. I must say a special Thankyou to Laura,Jen and Kelly who made me and my family so welcome and helped us so much. We look forward to staying again later in the year. There were plenty of places to eat with a variety of choice and some great bars all close by.